STEM CELLS COME TO THE USA!!! Stem Cells Come to the USA! A real possibility is that all off shore facilities will go under shortly as people realize stem cells are coming to the USA. Not only “the smart patient” but also “the smart investor” will return home. Please forward to relevant parties and contact me if you want to know what the next step is to US based stem cell facilities and treatments. Topeka — In a mix of science and anti-abortion politics, Gov. Sam Brownback on Monday signed into law a bill that establishes the nation’s first adult stem cell research and treatment center at the Kansas University Medical Center. “I am honored to sign this bill of hope and promise and current treatments,” Brownback said. Brownback described adult stem cell and umbilical cord blood research as an “exploding” area of new discoveries to treat people with a wide range of diseases. “KU will be the leader, Kansas will be the leader, which is fabulous in this burgeoning field,” he said. But the bill carried political overtones. It was sponsored by vehement abortion opponents and pushed by the Family Research Council, a conservative Christian lobbying group. In addition, KU never asked for the legislation establishing what will be known as the Midwest Stem Cell Center, and the Legislature has yet to produce the estimated $1.1 million needed for the center’s startup. Dr. Buddhadeb Dawn, director of the Division of Cardiovascular Diseases at KU Medical Center, on Monday speaks during Gov. Sam Brownback’s bill-signing ceremony on legislation establishing the Midwest Stem Adult Stem Cell Center. The center will be charged with working on adult stem cell, cord blood and related stem cell research, providing therapies to patients and serving as a clearinghouse for physicians on cutting-edge treatments. The center is prohibited from using embryonic stem cells or cells taken from aborted fetal tissue. Abortion opponents oppose human embryonic stem cell research because it involves the destruction of the embryo. Dr. Buddhadeb Dawn, director of the Division of Cardiovascular Diseases at KU Medical Center, was the only KU representative on hand at the bill-signing ceremony. He said the number of clinical trials of bone marrow stem cells for treatment of heart disease had been increasing tremendously over the past several years. “It would be great to bring such therapies to Kansas, and the formation of such a center which would engage in adult stem cell therapy in patients would give Kansans the chance to be enrolled in such therapy and perhaps give treatment that would change their life,” he said. State Sen. Mary Pilcher Cook, R-Shawnee, who carried the bill in the Legislature said she would push for funding the center when the Legislature returns May 8 for the wrap-up session. “That’s all under discussion right now,” she said. At the bill-signing ceremony, several people who have survived diseases spoke about their treatments and how they believed the new center would expand the availability of treatments for others. Mary Rusco, of Wichita, said she received stem cells from an umbilical cord. “I have been cancer free for four years now, and as far as I’m concerned I’m cured. I really appreciate the fact that Kansas is doing this so that other people can have access to this opportunity,” she said. Terry Killman, of Independence, received a bone marrow transplant from his brother. “This bill will make it that much better for more people to have the opportunity that I’ve had to live,” he said. A three day conference on adult stem cell research began today at the Paul VI Hall in Vatican City. The conference was sponsored by the Pontifical Council for Culture, as well as NeoStem, one of the leading developers in the field of cellular therapy. Once again a jaunt on the old Gold’s Gym treadmill paid results. Although I had forgotten all about it, Good Morning America co-anchor Robin Roberts was making her triumphant return to ABC’s #1 rated morning show after being on medical leave following a bone marrow transplant to treat a rare blood disorder myelodysplastic syndrome (MDS). During the course of the program (obviously much of which was devoted to Roberts), she reflected on faith, family and physicians. Besides a wonderful story of triumphing over cancer, there is a special association for pro-lifers. Indeed, if the full ramifications of the stories about Roberts were more widely known, it would be a real eye-opener. MDS damages the bone marrow, making it no longer able to make the healthy cells and platelets we all need to live. Her older sister, Sally-Ann, was Robin’s bone marrow donor. In the procedure, a patient’s damaged bone marrow is eradicated and then replaced with healthy, donated marrow. Although the words were not used, in fact, the transplant is another example of the successful, even routine use of adult stem cells. Another terrific source is umbilical cord blood. The first tissue-engineered trachea (windpipe), utilizing the patient’s own stem cells, has been successfully transplanted into a young woman with a failing airway. The bio-engineered trachea immediately provided the patient with a normally functioning airway, thereby saving her life. These remarkable results provide crucial new evidence that adult stem cells, combined with biologically compatible materials, can offer genuine solutions to other serious illnesses. In particular, the successful outcome shows it is possible to produce a tissue-engineered airway with mechanical properties that permit normal breathing and which is free from the risks of rejection seen with conventional transplanted organs. The patient has not developed antibodies to her graft, despite not taking any immunosuppressive drugs. Lung function tests performed two months after the operation were all at the better end of the normal range for a young woman. The loss of a normal airway is devastating, but previous attempts to replace large airways have met serious problems. The 30-year-old mother of two, suffering from collapsed airways following a severe case of TB, was hospitalized in March 2008 with acute shortness of breath rendering her unable to carry out simple domestic duties or care for her children. The only conventional option remaining was a major operation to remove her left lung which carries a risk of complications and a high mortality rate. Based on successful laboratory work previously performed by the team, and given the urgency of the situation, it was proposed that the lower trachea and the tube to the patient’s left lung (bronchus) should be replaced with a bio-engineered airway based on the scaffold of a human trachea. The donor trachea was then seeded with chondrocytes on the outside, using a novel bio-reactor which incubates cells, allowing them to migrate into the tissue under conditions ideal for each individual cell type. In order to replicate the lining of the trachea, epithelial cells were seeded onto the inside of the trachea using the same bio-reactor. Four days after seeding, the graft was used to replace the patient’s left main bronchus. The operation was performed in June 2008 at the Hospital Clinic, Barcelona, by Professor Paolo Macchiarini of the University of Barcelona. Professor Macchiarini, lead author on the paper, said: “We are terribly excited by these results. Just four days after transplantation the graft was almost indistinguishable from adjacent normal bronchi. After one month, a biopsy elicited local bleeding, indicating that the blood vessels had already grown back successfully”. Martin Birchall, Professor of Surgery at the University of Bristol, added: “Surgeons can now start to see and understand the very real potential for adult stem cells and tissue engineering to radically improve their ability to treat patients with serious diseases. We believe this success has proved that we are on the verge of a new age in surgical care”. Anthony Hollander, Professor of Rheumatology and Tissue Engineering at the University of Bristol, concurred: “This successful treatment manifestly demonstrates the potential of adult stem cells to save lives”. The patient, Claudia Castillo, a young woman from Colombia but now living in Spain, had no complications from the operation and was discharged from hospital on the tenth post-operative day. She has remained well since and has a normal quality of life. She is able to care for her children, walk up two flights of stairs and occasionally go out dancing in the evenings. Scientists at the University of Granada and Alcala de Henares University have found that not all isolated stem cells are equally valid in regenerative medicine and tissue engineering. In a paper recently published in the prestigious journal Tissue Engineering the researchers report that, contrary to what was thought, only a specific group of cord blood stem cells (CB-SC) maintained in culture are useful for therapeutic purposes. At present, CB-SCs are key to regenerative medicine and tissue engineering. From all types of CB-SC those called “Wharton’s jelly stem cells (HWJSC)” are stirring up the interest of specialists in regenerative medicine, due to their accessibility and great ability to develop into several types of tissue and modulate immune responses. The relevance of this paper, which was the cover article in the journal Tissue Engineering, lies in the possibility to select the most suitable HWJSC for tissue engineering and regenerative medicine. According to these researchers, the different studies with HWJSC have obtained contradictory results because researchers failed to previously select the most suitable cell group. The results of this study also open the possibility to select stem cell subgroups from different tissues, in order to improve the therapeutical efficacy of different regenerative medicine protocols. 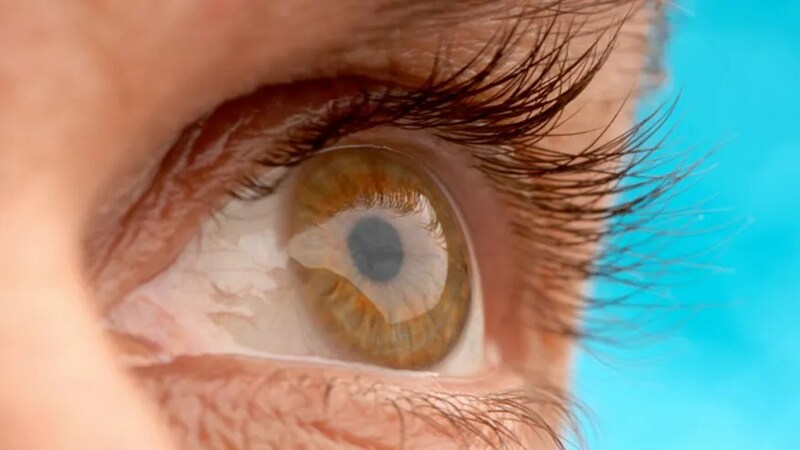 This research study was conducted by the Tissue Engineering research group at the University of Granada Histology Department coordinated by professor Antonio Campos Muñoz, who recently created artificial skin and a cornea by using stem cells and new biomaterials developed in Granada. The research group is also composed of professors Alaminos Mingorance and Ingrid Garzón. Professor Garzon was awarded a prize at the World Congress on Tissue Engineering and Regenerative Medicine held in Seul for a preliminary study on the same issue. * , *** Stem Cells. 2006 May;24(5):1294-301. Epub 2006 Jan 12. ** – Izadpanah R, Kaushal D, Kriedt C, Tsien F, Patel B, Dufour J, Bunnell BA. Long-term in vitro expansion alters the biology of adult mesenchymal stem cells. Cancer Res. 2008;68:4229–4238. The technique is described in a study that was published in the journal Nature Methods (Wang, et al., Nature Methods (2012) doi:10.1038/nmeth.2283). Unlike embryonic stem cells, which are derived through the destruction of embryos and have the potential to cause tumors, these neural progenitor cells do not form tumors and are made quickly and without the destruction of human embryos. Stem cell biology expert Duanqing Pei and his co-workers from China’s Guangzhou Institutes of Biomedicine and Health, which is part of the Chinese Academy of Sciences, previously published a paper that showed that epithelial cells from the kidney that are sloughed into urine can be reprogrammed into induced pluripotent stem cells (iPSCs) (Ting Zhou, et al., Journal of the American Society of Nephrology 2011 vol. 22 no. 7 1221-1228, doi: 10.1681/ASN.2011010106). In this study, Pei and his colleagues used retroviruses to insert pluripotency genes into kidney-based cells to reprogram them. Retroviruses are efficient vectors for genes transfer, but they insert their virus genomes into the genomes of the host cell. This insertion event can cause mutations, and for this reason, retroviral-based introduction of genes into cells are not the preferred way to generate iPSCs for clinical purposes. Researchers use retroviruses to routinely reprogram cultured skin and blood cells into iPSCs, and these iPSCs can be differentiated into any adult cell type. However, urine is a much more accessible source of cells. In this present study, Pei’s team used a different technique to introduce genes into the cells from urine; they used “episomal vectors,” which is an overly fancy way of saying that they placed the pluripotency genes on small circles of DNA that were then pushed into the cells. Episomal vectors can reprogram adult cells into iPSCs, but they do so at lower levels of efficiency. Nevertheless, episomal vectors have an added advantage in that the vectors transiently express the pluripotency genes in cells and then are lost without inserting into the host cell genome. This makes episomal vectors inherently safer for clinical purposes. In one of their experiments, perfectly round colonies of reprogrammed cells from urine that resembled pluripotent stem cells after only 12 days. This is exactly half the time typically required to produce iPSCs. When cultured further, the colonies assumed a rosette shape that is common to neural stem cells. When Pei and others cultured his urine-derived iPSCs in a culture conditions that normally used for cultured neurons, these cells formed functional neurons in the lab. Could these cells work in the brain of a laboratory animal? Transplantation of these cells into the brains of newborn rats showed that, first of all, they did not form tumors, and, secondly, they took on the shape of mature neurons and expressed the molecular markers of neurons. The beauty of this experiment is that neural progenitors cells (NPCs) grow in culture and researchers can generate buckets of cells for experiments. However, when cells are directly reprogrammed to neurons, even though they make neurons faster than iPSCs.